Sammy Leetham is the CEO and co-founder of BEAR, a modern Australian lifestyle brand that is disrupting the beauty and wellness landscape by furnishing the shelves of the hottest international retailers (cue Net-A-Porter, Mr Porter, Barneys, Lane Crawford, David Jones) with a collection of Essential Daily Vitamins and Superpowders. Along with his gorgeous wife, Creative Director and co-founder Saasha Burns, the duo’s respect for simplicity, design and function is translated through the products minimalist yet considered aesthetic that turns a bedside table into a flat-layers Elysium. But putting aside the gorgeous founders, their desirable BEAR range and follow-them-on-social-media-esque lifestyle, perhaps their most admirable achievement (and one that caught our eye) was BEAR’s recent accreditation as a B-Corporation business, which is the highest echelon of certification for social and environmental performance, accountability and transparency. Today was an early one – I was up at 5.30am for an early flight. Where are living at the moment and why? We are living in Paris at the moment. We launched BEAR as a modern Australian lifestyle brand but we’ve had such a strong response internationally that we want to spend as much time in each of these markets as we can. 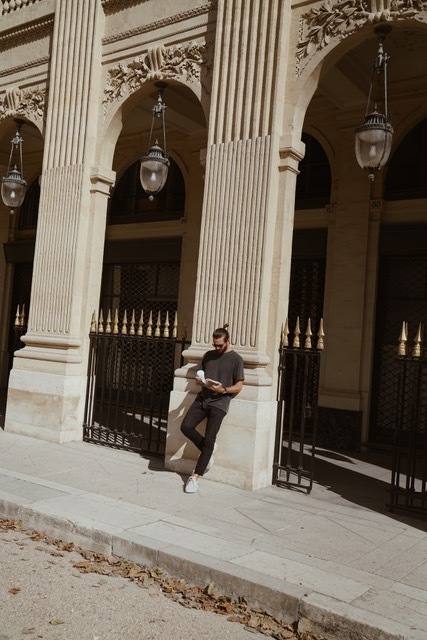 Europe has become a big part of the brand and Paris is particularly inspiring for us – there is such a strong creative scene and entrepreneurial community here. We officially moved to Byron Bay late last year. Melbourne was getting too cold for us in the end! We’ve been lucky enough to travel all over the world but we still think the Northern NSW coast has the best beaches. We feel very lucky to call Byron home and we love the energy, the food scene and the amazing group of people living there. You left an enviable job in marketing for Mercedes-Benz to start your own business. What was the catalyst for change and what has been the most rewarding component? Mercedes-Benz was an incredible experience. I was there for six years, starting as marketing intern and leaving as Senior Manager for Strategy; and although I loved my time there, I always had an entrepreneurial drive to start a venture of my own. 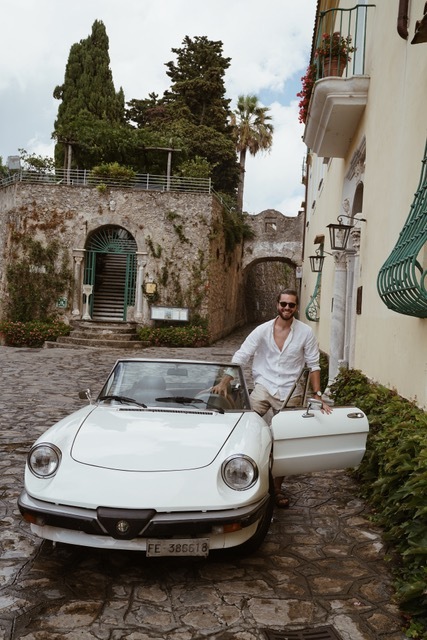 After completing my MBA between the Melbourne Business School and the University of St Gallen in Switzerland, I felt really ready to make that transition. My wife, Saasha and I had the idea for BEAR two years before we launched but we took that time to ensure we were creating something of value and quality. Being able to share the BEAR journey with Saash is definitely the most rewarding component. Tell us about life as the founder and CEO of BEAR? Life is incredible – I’m constantly inspired by the people and places we encounter as part of building the BEAR brand. Our days are pretty full in that we’re always working on the brand and we’re constantly shifting from different elements within the business that require our attention. A big focus at the moment is on our new retailers and our new products – some of which are launching in the next few months which is really exciting. You and your gorgeous wife Saasha seem to be on the move a lot. Is this an active choice or the result of running a multi-national business? It was definitely a conscious decision to travel regularly. We find we are most creative and develop our best ideas for the business when we are exploring new cities and catching up with friends in different countries. We’ve grown to appreciate that home for us is wherever we both are at any point in time so we really value this time travelling - life moves pretty fast and it’s easy to forget the journey is just as important as the destination. Aside from business, what are your passions and interests? Saash and I love photography. We’ve always been drawn to it as an art form and we’ve recently started shooting with a vintage 1978 Nikon that we found in a little store in Paris. There’s something really interesting about using an analogue approach in this digital age. We also love spending time with our pets – we have a Siberian Husky called Minnesota and a British Shorthair called Dallas. When we are back home, there’s nothing better than a long walk along Tallows Beach with Minnie to the start the day. Is there a milestone in your life you have rewarded yourself with a gift, or been rewarded by a loved one for your success? Saash gave me an Acne Studios leather jacket last year, just after we’d secured Net-A-Porter and Mr Porter as one of our global retailers for BEAR. It was a really special milestone for the brand, signifying our first partnership outside of Australia. It’s certainly not a single achievement but the collection of many small decisions and commitments along the way that has allowed us to do what we love. I’m very proud of the life Saash and I have built and everything that that encompasses, from founding and launching the BEAR brand and our second business BEAR Originals, to moving to our favourite area, to constantly exploring new cities and experiences. We have always considered a watch the ultimate companion; it comes with you everywhere you go, and sleeps next to you at night. Do you have a favourite companion or treasured possession? 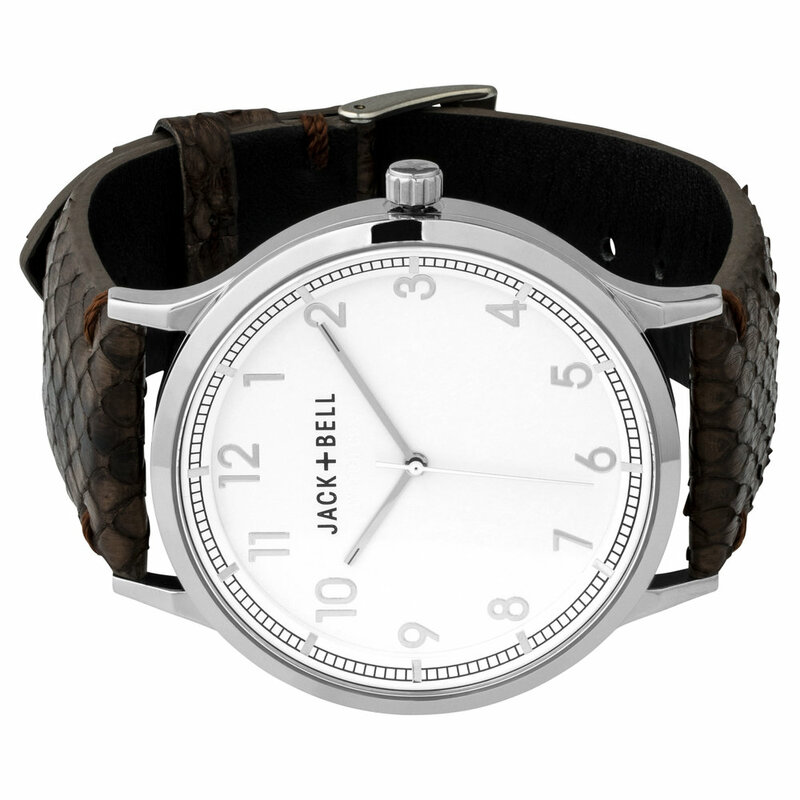 What sits on your bed side table alongside your Jack + Bell watch? Our Explore Essential Daily Vitamins, a Mad et Len candle and a card from my parents. I’m also reading Meditations by Marcus Aurelius at the moment and have a paper-back copy on the bed side table. If you had a spare weekend, where and how would you spend it? Because we travel so much, I always love spending a weekend at home with no real plans. We love going for a swim at Wategos Beach, doing a little shop at the local farmers market and cooking up one of our favourite pastas. I’ve been really fortunate to have a number of positive influences and mentors, in work and in life. The biggest is definitely Saash – our love of travel definitely started as her love of travel and her innate curiosity has taught me to be open minded, to go after your dreams and to enjoy every day. My parents have always been a big influence on me – they showed me how important hard work, kindness and humility are. What’s the most powerful way to make a first impression? A great watch and a well cut suit. And finally, what is next for Sammy Leetham? There’s lots on the radar for BEAR which is really exciting – after an 18-month process, we’ve recently been certified as an official B Corporation for our verified positive social and environmental impact. We’re also about to announce a collection of new retail partners across Australia and the US alongside a number of new products launches. On the personal front, Saash and I are renovating our house which has been a fun little personal project.